How to grow a record-breaking pumpkin Jump to media player A giant pumpkin grown by a farmer in the US state of Wisconsin has been confirmed as the world's heaviest. Record-breaking cat found in Nevada Jump to media player A cat called Stewie from Nevada in the US might not realise it but he has been recorded as the longest domestic feline in the world. 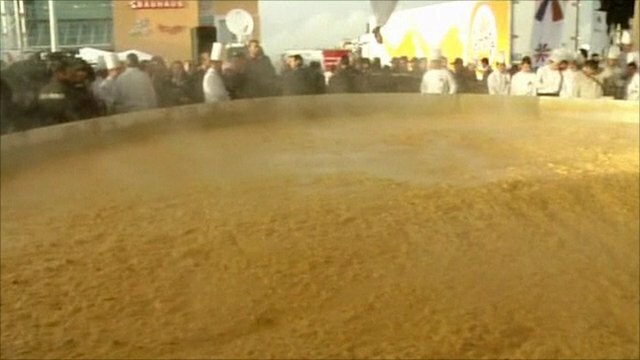 World's largest omelette Jump to media player Eighty chefs cooked the record breaking dish in a 10 meter round frying pan, using 110,000 eggs. Skydivers break formation record Jump to media player Skydivers in Poland have broken the European record for the number of people in a formation when 104 people joined together in the air. 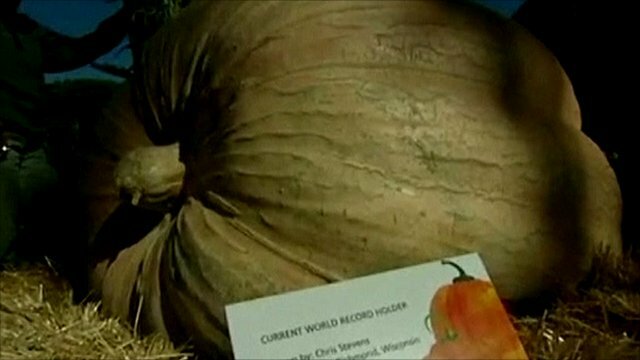 A giant pumpkin grown by a farmer in the US state of Wisconsin has been confirmed by Guinness World Records as the world's heaviest. The gourd, which weighs 1810.5lb (821.24 kg) is 85lb (38.56kg) heavier than the previous record holding pumpkin grown in Ohio last year. The pumpkin will be on public display at the Bronx Botanical Gardens in New York until Halloween. 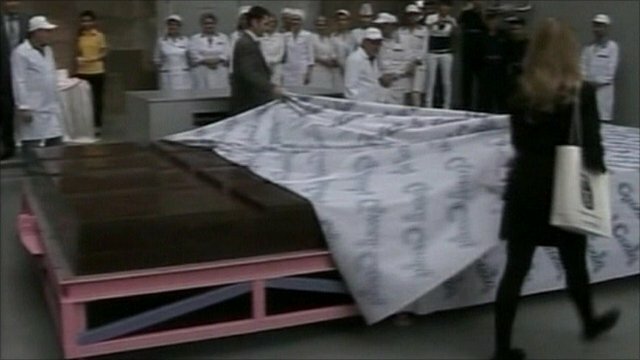 Chris Stevens, who grew the pumpkin said the secret was "good seed" and "good soil".